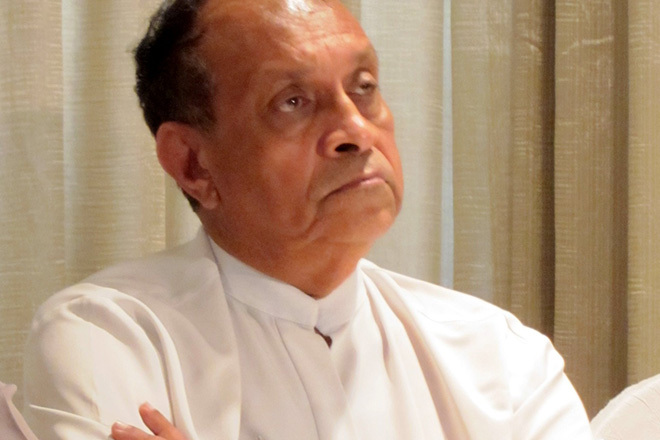 Aug 12, 2015 (LBO) – Sri Lanka’s President Maithripala Sirisena’s policy manifesto goes hand in hand with the United National Party’s election manifesto, chairman of the Leadership Council of the United National Party, Karu Jayasuriya said. “On the 8th of January people have voted us for a 100 day mandate to clean up the system, to clean up the country and enshrine the good governance,” Jayasuriya said. He said before presidential election the UNP noticed that the country was slowly moving towards a despotic regime and a North Korean type of administration that passes powers from father to son. However Jayasuriya says the things have changed now. “Country needs a good CEO and board of members to work with President Sirisena, a wise man who can look at things rationally. It is a good combination,” Jayasuriya said.